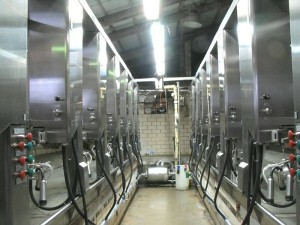 Retrofitting milking parlors - Photos showing before and after modernization. 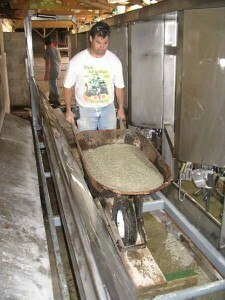 ClicPic Photos copyright © 2007 Technology for Agriculture * Unauthorized use is prohibited. 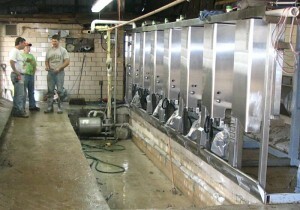 In 1996, milking 125 cows in the old stanchion barn and on a tight budget, Roger bought a single 10 Germania ProTime II HerringBone with refurbished Germania Model B Arm TakeOffs. 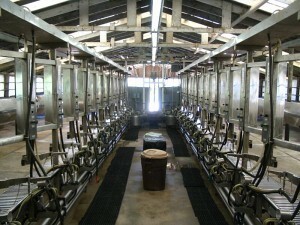 He also built a new free stall for 200 cows and converted the stanchion barn for the parlor, big enough for a dbl. 10 with the missing 10 stalls to be added later. 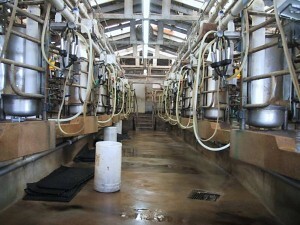 Both cow platforms were finished at the time with curbing, gutter and the 3" lo-line. 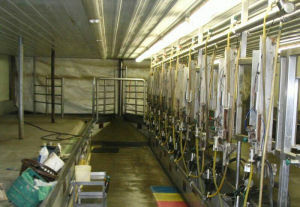 All support systems - Vacuum pump, Receiver Group, CIP System and Air Compressor - were sized for 20 units. 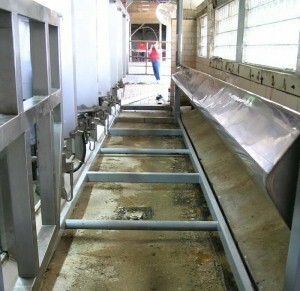 TechForAg added the second side in February 2006, with Germania Model SB all-stainless Arm TakeOffs and a Crowd Gate. 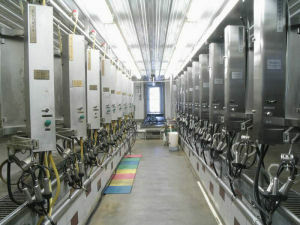 Modernized milking parlors for increased efficiency. Better return on investment. 7. 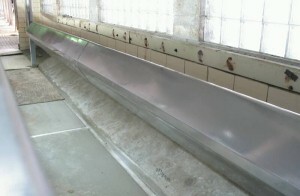 Both mods in place awaiting concrete 8. 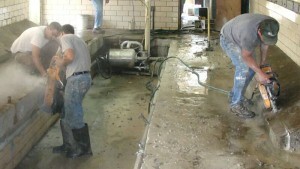 Hauling concrete 2 p.m.